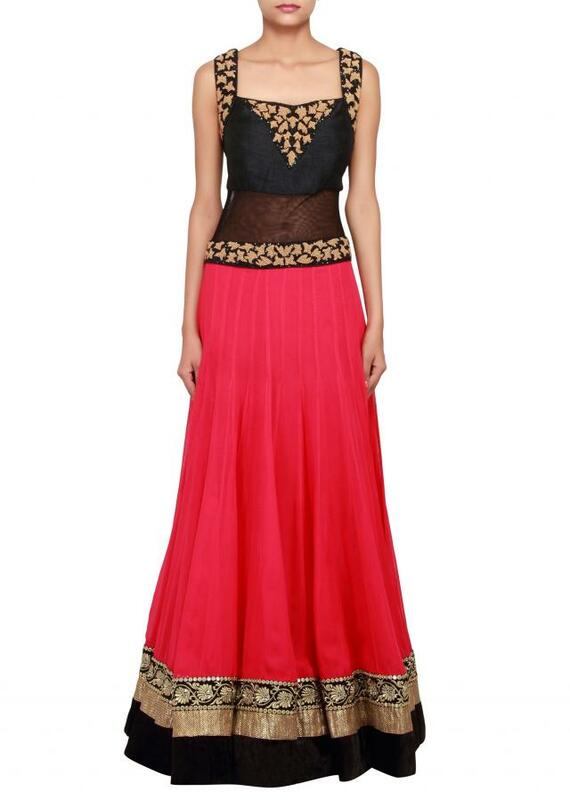 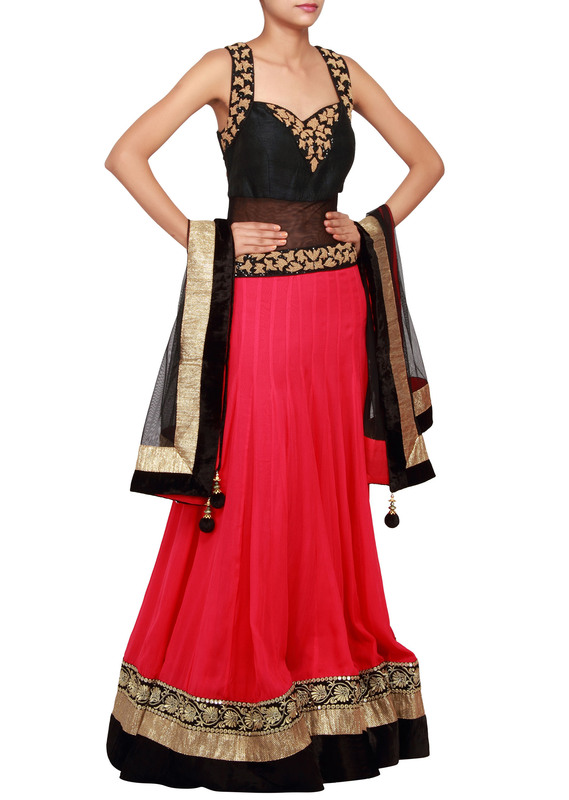 Featuring an anarkali with black raw silk bodice embellished in gold french knot and black sequence. 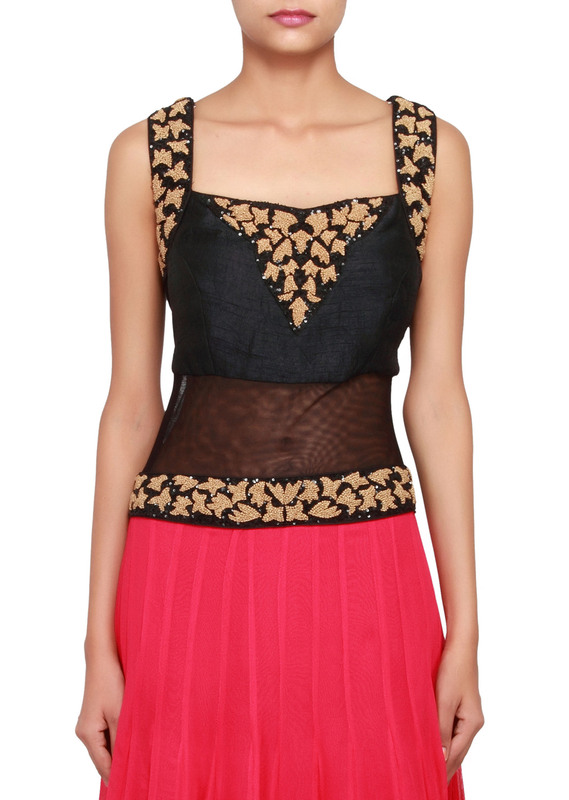 It has a black sheer mid-riff. 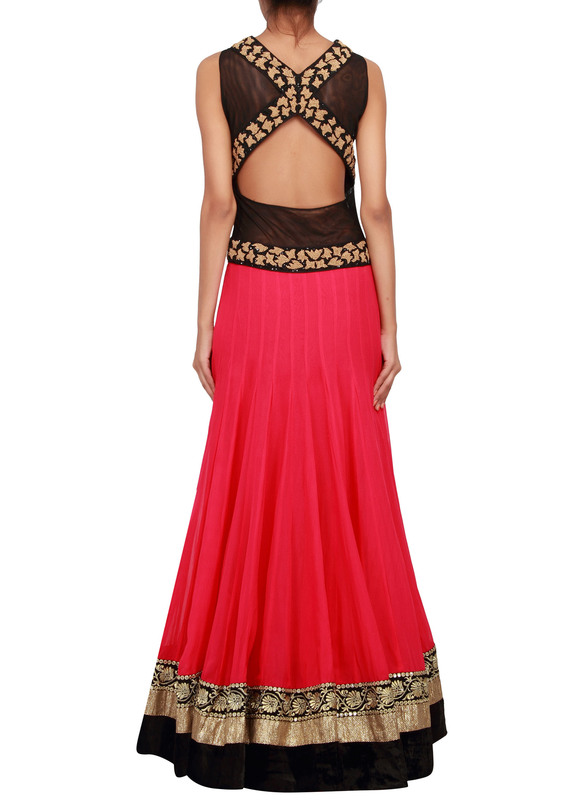 Kali is in fushia georgette enhanced in gold and black velvet border. It is sleeves and has a fancy neckline. The back is in black net enhanced with a diamond cut, embellished in french knot and sequence. 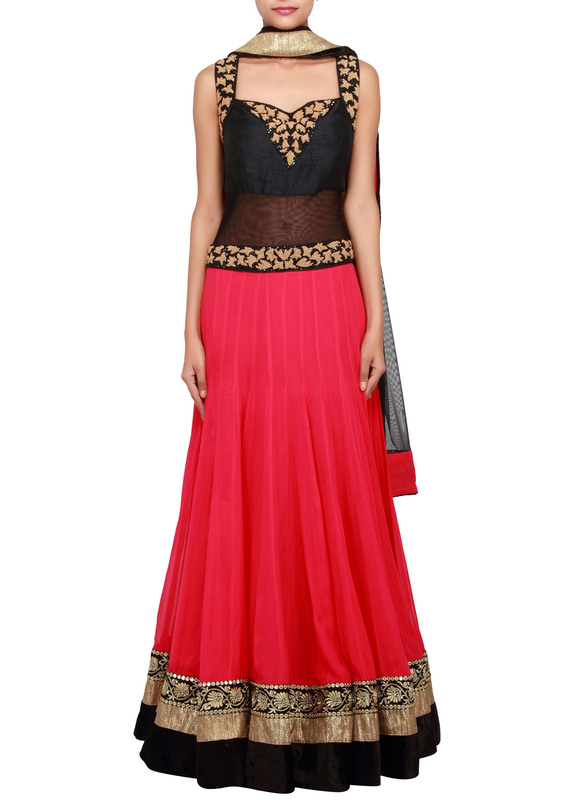 It comes with a black lycra churidaar and black net dupatta with gold and black velvet border.